Are you learning how to craft? Maybe you've surpassed the beginning stages, and now you're looking for a few easy crafts to get you in the Christmas spirit. Try your hand at one of these 24 Easy DIY Christmas Crafts. Each of these projects will start you on the path to a crafty Christmas. 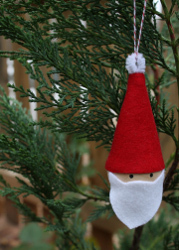 You don't have to be a DIY expert to complete these homemade Christmas crafts. From ornaments to advent calendars to gift ideas and more, these crafts will get your creativity flowing. 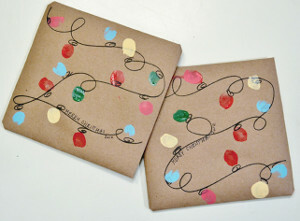 Spend less money and even less time this season when you make your own Christmas crafts instead of going to the store. Spend more time with family as you craft with your siblings, spouses, and parents. You can even get the young members of your family involved, because we've got really great crafts for kids, too! Get in the Christmas spirit in a simple way with any of these easy DIY Christmas crafts. Begin your Christmas crafting with a necessary project for the holiday: Christmas decorating! No home is complete without festive decor around Christmas. Make some of your own decorations this year with any of these easy crafts. From ornaments for your tree to stockings and bunting, these homemade Christmas decorations are perfect projects for Christmas. Everything is more meaningful handmade, and gifts are a fantastic example. Make a gift that is truly one-of-a-kind when you create any of these easy homemade Christmas gifts. 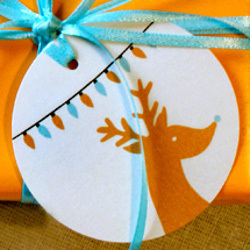 Find great gifts to make and also easy gift packaging ideas in this lovely collection. Get the kids involved this season! 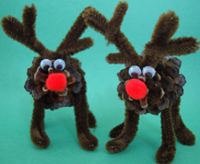 From reindeer to snowflakes, these kids Christmas crafts are a great way to celebrate the holiday. These projects are perfect for creating keepsakes. Plus, who didn't love crafting as a kid? Share a precious moment with your favorite little ones this season and make something amazing.